Wind energy development does not belong along the Great Lakes shorelines says the American Bird Conservancy (ABC). For a copy of the press release click here. A high number of birds migrate along the Great Lake shorelines at altitudes that place them directly in the line of collision with wind turbines. The Conservancy currently recommends a 5-mile (8-kilometres) setback from the shoreline but says that the setback may need to be extended based on new radar studies that are providing more information on migratory bird activity along the Great Lakes shorelines. The White Pines wind project is in one of the locations where the American Bird Conservancy says that wind energy development does not belong. 14 of the projects’ 27 wind turbines are 2 kilometres or less from the Lake Ontario shoreline with the shortest distance only 400 metres from the shoreline. Wind turbines are arranged in small clusters along a 15-kilometre stretch of shoreline. How did White Pines get a Renewable Energy Approval from the government? Here are some of the reasons. ANY requirement for wind energy developers to report on cumulative impacts of wind projects on migratory birds and bats. There are 139 proposed or built wind turbines along the eastern Lake Ontario shoreline including the White Pines wind project (27 turbines), Wolfe Island (86 turbines) and Amherst Island (26 turbines). You can read the London Free Press article on American Bird Conservancy by clicking here. The environmental conservancy groups are speaking out against the Ministry of the Environment and Climate Change’s decision to put electricity generation ahead of environment conservation. Nature Canada, Ontario Nature, and American Bird Conservancy are extremely disappointed by the Ontario Ministry of the Environment’s decision last week to approve the White Pines Prince Edward County Wind Energy Project in an internationally designated Important Bird Area (IBA). To read the full News Release click here. Many people from Prince Edward County have directed comments to the Ministry of the Environment and Climate Change (MOECC) on the planned wpd White Pines Project. These are only a few of the written comments submitted to MOECC last spring. APPEC members wanted to be clear to the Ontario government that they do not want monstrous industrial sized wind turbines in areas that need heritage and environmental protection. Concerns over health and the economy persist as more evidence becomes available on the harm to people’s lives. Please read these comments from your neighbours and friends along the South Shore that have expressed their concern and are willing to stand-up and be vocal as part of the Alliance to Protect Prince Edward County. APPEC thanks you. From Gord Currier: We wish to register our strong objection to the application by White Pines Wind Project (WPD) for a Renewable Energy Approval (REA). From Sophia DeFrancesca, Visual Artist: Being a newcomer to Milford, I have many concerns about the proposed White Pines Wind Project that is currently in the approval process. From Jim McPherson: … Because I live in the neighbourhood of Prince Edward County where this project would be located, I have followed its development with great concern, and I have attended all “public information events” sponsored by the proponent. From Bryan and Kate Muir: Our home, “Prince Edward County” is made up of good people, fantastic wild life and birds, with unique countryside, different from other areas of Ontario. I am very proud to tell anyone where I live and what Prince Edward County has to offer. Wind turbines do not belong in Prince Edward County! SUBMITTING COMMENTS on wpd’s White Pines Wind Project by MAY 10, 2014! APPEC has put together a list of comments related to the revised wpd White Pines Project Heritage Assessment, the Heritage Interconnection Line and the Natural Heritage Assessment (NHA) reports. The Comments are being posted here to help concerned PEC residents raise their own comments and to submit them to the Ministry of the Environment (MOE). Our hope is that more people will submit comments by mail or email to express your concerns with the wpd White Pines Project in South Marysburgh and Athol stating the impact this project will have on our heritage, our homes and our natural environment. These are important things that APPEC members and supporters love and need to protect. For your review, the APPEC Comments can be reviewed at these links: Heritage Assessment Comments , Heritage Interconnection Line Comments and Natural Heritage Assessment Comments. Any additional insights from these comments that you may have can be submitted to MOE at the postal or email address below. Additionally, APPEC has put together a spreadsheet of all the resident buildings along the Interconnection Line where wpd will be laying power lines underground. Some wpd construction will occur within as little as 10 meters of buildings. A wpd report warns that damage due to vibration may occur for properties inside 40 meters from the excavation / construction. The 40 meters is a mitigation but is not being applied consistently as many of the buildings are within the 40 meters. Also it is not clear what solutions there are if the vibration level exceeds the maximum recommended or who is responsible to satisfactorily repair any damages. As far as APPEC is aware, no wpd notification or agreements have been made with County residents. It might be worth your time to review the Structures along wpd Interconnection Line document and raise a comment if your home or buildings might be impacted by wpd construction along the interconnection / transmission lines. APPEC has retained council to appeal to the Ontario Energy Board (OEB), Ministry of Energy and the Ministry of the Environment related to the transmission lines. By reviewing this document, you may have comments that you would like to submit, or inform friends that may be impacted to allow them to raise comments to the ministry (see mailing information below). The deadline for submission of comments is May 10, 2014. Comments can be submitted by letter or email to the person noted below. Important – Be sure to include < EBR 012-1279 > in the subject line of your email or letter. Please Note: to prevent abuse of the survey protocol, the website will only accept a single household’s vote from the same computer. APPEC has no control over this. It may be a simple question but there is much at stake. 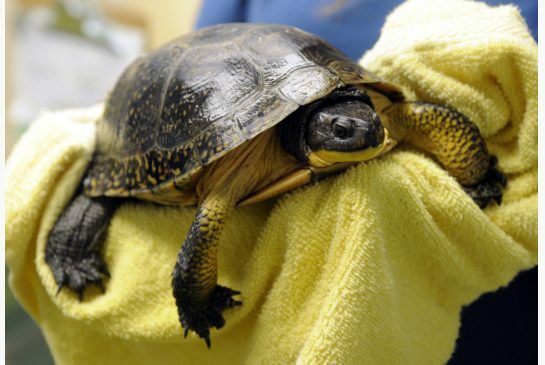 As the survey site notes Ontario’s Ministry of Natural Resources (MNR) issues permits to wind developers to kill the province’s species at risk including the threatened Blanding’s Turtle. When the time comes we can be sure that the MNR will issue a permit to wpd Inc. for the Bobolink, Eastern Meadowlark and the Eastern Whip-poor-will. Of course many other species of birds and animals will be killed, harmed and harassed during the construction and operational phase of the wind project but wpd will not require a permit for those. The provincial government approves wind projects in Ontario’s Important Bird Areas, projects in alvar habitat and projects on rivers, streams and coastal shorelines. The province approves projects that are adjacent to woodlands, valleylands and wetlands. The province approves projects that are only 50 metres away from bat maternity colonies and projects that are on major migration routes. The province approves projects that require killing Ontario’s threatened and endangered species. Please take a moment to vote. And encourage family and friends to vote as well on our website. Let’s do what our provincial government is refusing to do: Let’s Stand Up for Ontario’s wildlife. This was the final day of the 3-day hearing. The morning began with a submission from South Shore Conservancy which has Intervenor Status at the hearing followed by the Prince Edward County Field Naturalists’ Counter-Appeal on migratory birds and alvar. The following is an APPEC report for the first day of the Ostrander Point ERT Appeal hearing. Paula Peel of the APPEC Board will be reporting on the proceedings trough the week. It was hard to find an empty seat on this first day of the hearing. County residents and supporters of the Prince Edward County Field Naturalists (PECFN) once again showed their resolve to protect Ostrander Point from wind turbine development. And once again they face stiff opposition. At least 8 lawyers from Gilead Power, the Ministry of the Environment and CanWEA are representing Gilead ’s interests. The hearing began with Gilead introducing its game-changing motion to bring in new evidence. According to Gilead lawyer Doug Hamilton, the facts have changed since July 4, 2013 when the Environmental Review Tribunal revoked Gilead ’s REA approval. Gilead is now in possession of a revised permit from the Ministry of Natural Resources (MNR) that requires that the access roads be closed to the public and the installation of gates. As reasoned by Gilead these mitigations address the Tribunals’ concerns that the wind power project will cause serious and irreversible harm to Blanding’s Turtles. PECFN lawyer Eric Gillespie noted that Gilead and the MNR were having discussions about fencing and the leasing of crown land for the access roads back in 2010. If these issues were so important why was not one word said about any of this at the ERT hearing? As noted by Mr. Gillespie, there are also disclosure requirements: Gilead had every opportunity to bring these issues up at the ERT hearing and chose to withhold it. Mr. Gillespie argued that Gilead should not be rewarded by the Court at this time with an opportunity to bring “new” information forward. The attempt by Gilead’s lawyers to enter this new evidence fell flat with the Court dismissing the motion. The Court noted that reasons for the dismissal will be given at the same time reasons are given for the main appeal. Gilead lawyers will now attempt to argue three issues: (1) that the Tribunal misunderstood the terms and provisions of the Overall Benefit Permit (2) that the Tribunal committed palpable and overriding errors in coming to a conclusion not supported by evidence, for example in drawing conclusions about turtle mortality without any evidence of number of turtles on site and (3) that the Tribunal failed to exercise its jurisdiction in rescinding REA approval and failed to provide natural justice and fairness. The hearing resumes on Wednesday and is set to conclude on Thursday. There was some great news today for the Prince Edward County Field Naturalists (PECFN) from the Ontario divisional court panel, headed by Justice Ian Nordheimer. The 3 judge panel ruled that Gilead Power could not introduce new evidence in the appeal. New evidence is not permitted during the appeal process. The arguments continue tomorrow on the ERT legal findings. 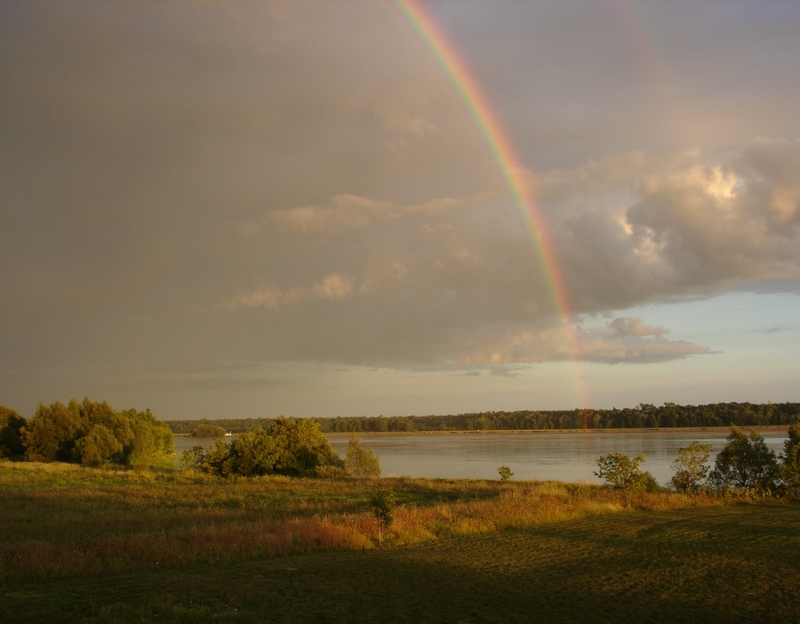 Gilead continues the appeal on the Blanding’s Turtle ERT findings and PECFN’s appeals to protect the Important Bird Area and the Alvar wildlife habitat at Ostrander Point. John Spears, Business reporter for the Toronto Star posted an article on today’s appeal proceedings. To read the Toronto Star article, please click here. Both APPEC and the Association to Protect Amherst Island (APAI) has sent out a notification requesting support for people to post comments concerning the Windlectric’s 37-turbine wind project on AmherstIsland that has been deemed complete by the Ministry of the Environment (MOE) and is now posted on the Environmental Registry. The new year has begun with some disheartening news: Windlectric’s 37-turbine wind project on AmherstIsland has been deemed complete by the Ministry of the Environment (MOE) and is now posted on the Environmental Registry. As seasoned APPEC members will recall this pushes the wind project forward to the technical review phase, the final phase of the REA approval process. This posting should send a chill down our collective spines with respect to wpd’s White Pines Wind Project. The Ministry of the Environment (MOE) continues to act with impunity, issuing approvals for wind projects in the worst places imaginable. 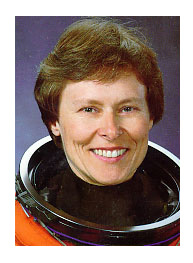 The Association to Protect Amherst Island is honoured to welcome Dr. Roberta Bondar as a Friend of Amherst Island. The world’s first neurologist in space, acclaimed photographer, environmental educator, author and humanist, Dr. Bondar strongly supports the preservation of Amherst Island. Parker Gallant from the County in preparation for the Ostrander Point appeal learned of this US report. He also learned that in spite of the fact bats fly hundreds of meters, the Ontario regulations only consider harm to these animals if found on the ground within 50 meters of a turbine. Who would have guessed the size of the blinders worn by the people responsible of reporting these kills?